Ishant was seen with a Delhi Traffic Police official at their headquarters in Todapur on Saturday. India speedster Ishant Sharma on Saturday (February 9) urged the Delhiites to abide by traffic rules and maintain road safety. On the occasion of National Road Safety Week, Ishant joined forces with Delhi Police and was seen with a Traffic Police official at their headquarters in Todapur. 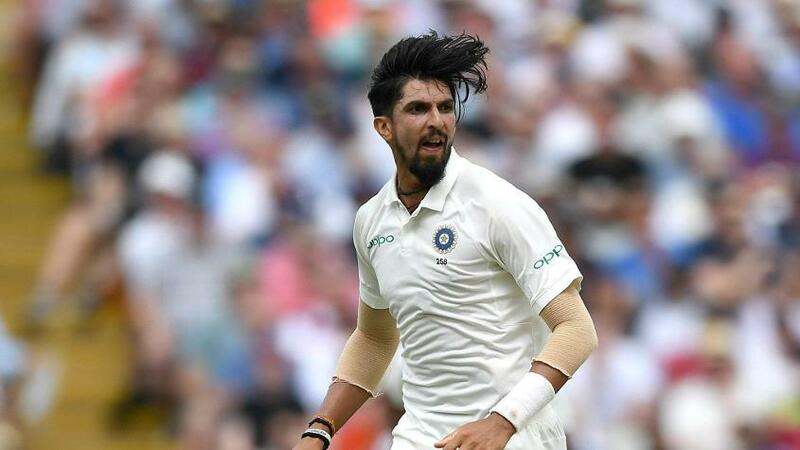 Expressing his concern over the road accident and its consequences, Ishant requested the riders to put on their helmets and seat belts while going for the drive. Recently, Ishant played a key role in India’s first-ever Test series triumph Down Under. The right-armer featured in the first three Tests and claimed 11 wickets that included one four-wicket haul. Ishant along with Jasprit Bumrah and Mohammad Shami also broke a 34-year-old record for the most number of wickets in the last calendar year. The highly impressive troika took 136 wickets across Tests in South Africa, England, and Australia during 2018, which is more than the 130 scalps recorded by West Indies legends Joel Garner, Malcolm Marshall and Michael Holding in the year 1984. Bumrah topped the chart with 48 wickets at a remarkable average of 21.02 last year, while Ishant and Shami recorded 41 and 47 scalps at 21.80 and 26.97 respectively.